After installing the application, the first step is to put in the log in information to start the session. 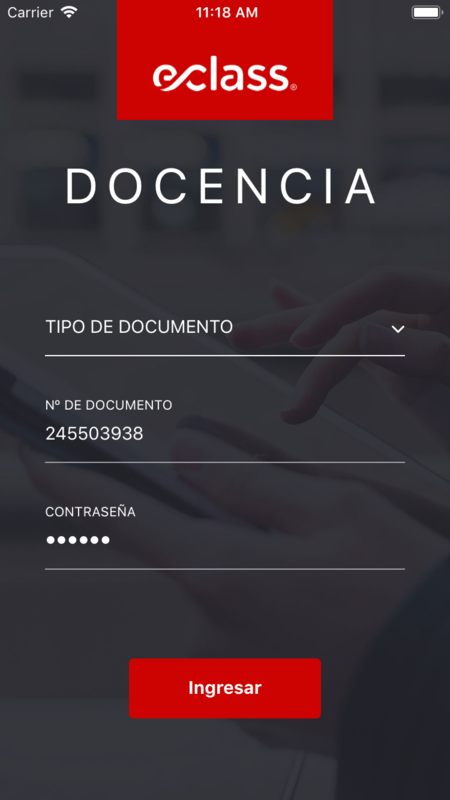 Select the type of document (RUT, CC or DNI). Type in your ID number (if it is a RUT document, put in your RUT number in full, including the last digit). Click on Login button to start the session. An error notification will pop up if the login information is not correct or if there is a connection issue.